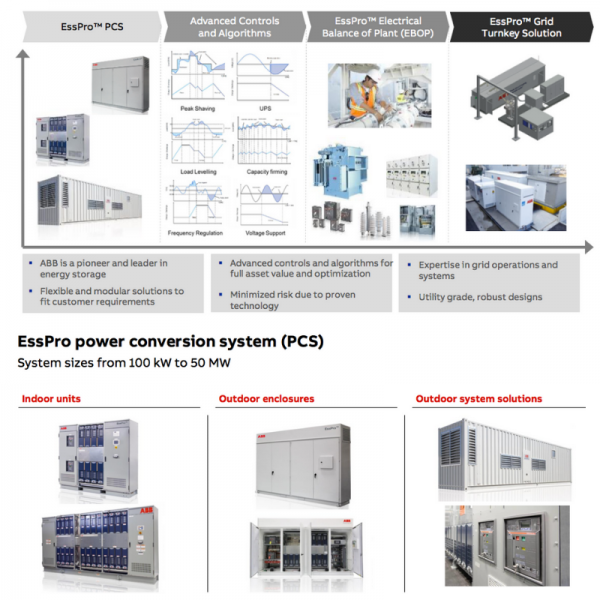 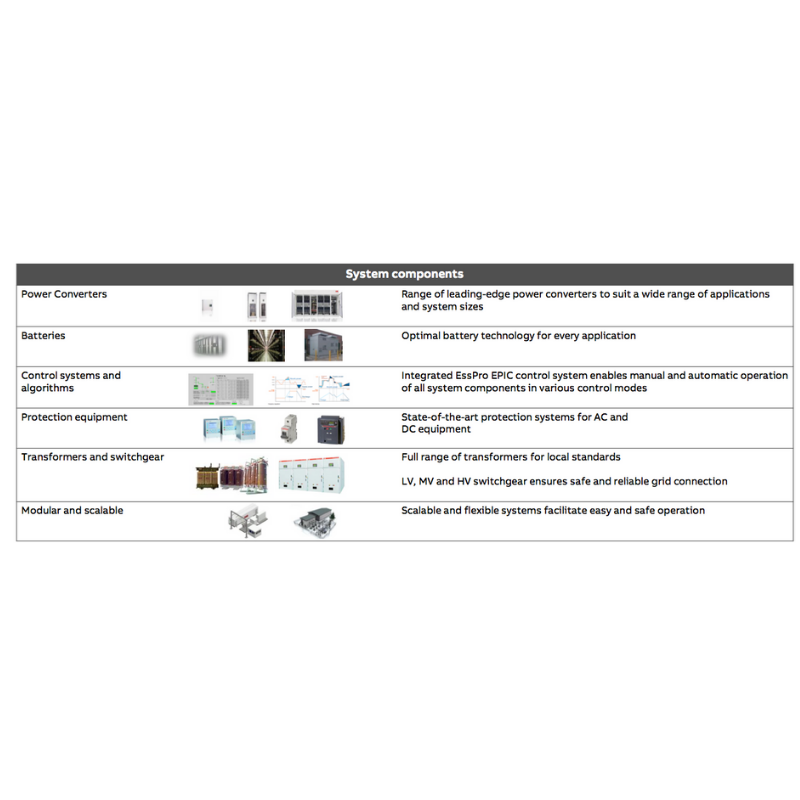 The EssPro Grid portfolio offers fully integrated, reliable and safe storage solutions for a wide range of applications. With more than 125 years of experience, ABB is a pioneer and technology leader in the field of distributed battery energy storage systems (BESS). 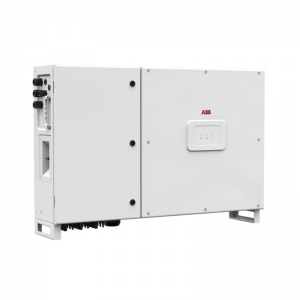 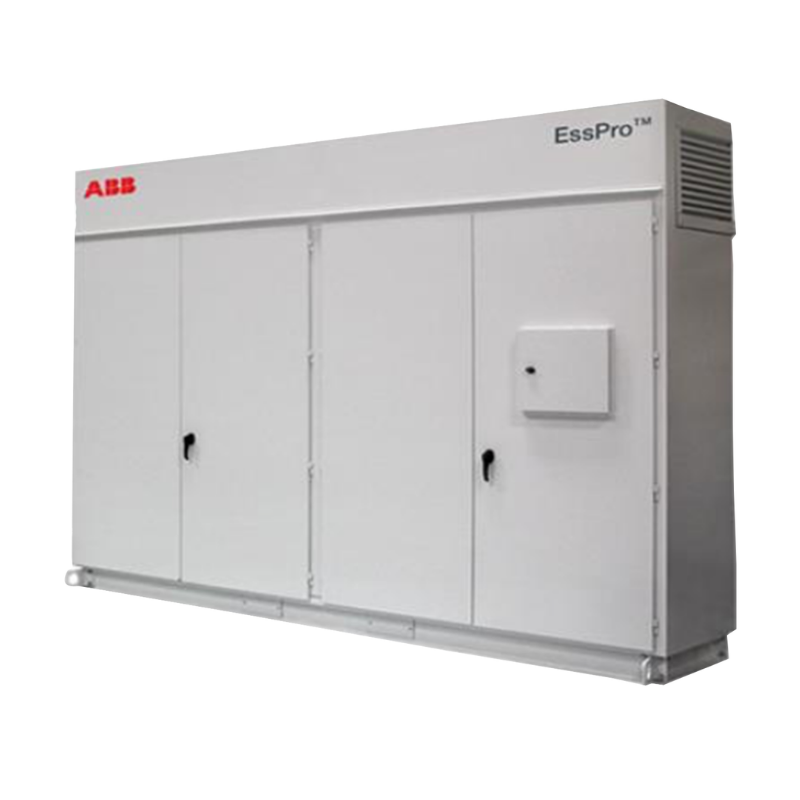 With the ability to connect different types of energy storage mediums, ABB’s EssPro Grid is a turnkey energy storage solution that ranges in power from hundreds of kilowatts to 100 plus megawatts. 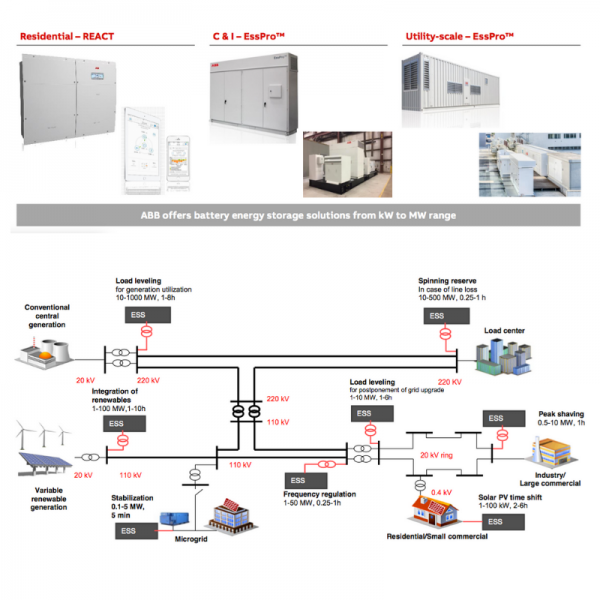 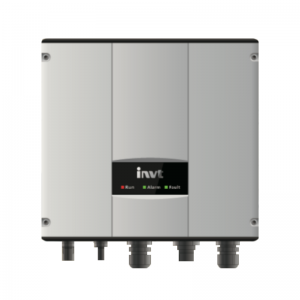 The optimized energy storage systems enable fast response to variations in demand and supply, helping to maintain grid stability and ensuring reliable and high-quality energy supplies through a range of applications. ABB’s experience in implementing energy storage systems for more than 125 years enables them to provide optimized solutions that are ready for grid connection. 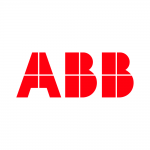 For turnkey systems, ABB’s execution team acts as a single point of responsibility, thus minimizing project risk and complexity for the customer.